The Energy and Resources Group summer instructors understand the complex and interdisciplinary nature of sustainability. All have significant experience teaching and/or professional experience in the subject areas of their courses. For course descriptions and schedule, visit our Summer Curriculum and Schedule page. Unless otherwise stated, office hours take place at 310 Barrows Hall. 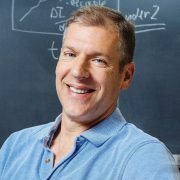 Sam Evans is an environmental and natural resource economist who specializes in the economics of climate change and the design of climate policy. He is an expert in computable general equilibrium modeling of climate and energy policies, and has worked extensively on evaluating the impacts California’s and China’s long term decarbonization strategies. Sam is currently a postdoc in the Environmental Science, Policy, and Management (ESPM) Department at UC, Berkeley and an adjunct professor in the Lokey School of Business and Public Policy at Mills College in Oakland. Before coming to Berkeley, he received his Ph.D in agricultural and resource economics from Colorado State University where he was a NSF IGERT fellow in multidisciplinary approaches to sustainable bioenergy. Read more on his ERG Core Faculty page. Amber Kerr is an agricultural ecologist focusing on climate change impacts and adaptation. She has studied nutrient cycling in California grasslands (Stanford University, Earth Systems, BS/MS 2002), drought resilience of maize-legume agroforestry systems in Malawi (UC Berkeley, Energy and Resources Group, Ph.D. 2012), and climate adaptation options for California specialty crop farmers (UC Davis, postdoctoral scholar, 2014-2016). While an ERG Ph.D. student, Amber also worked on projects including greenhouse gas inventory methods for California, state-level renewable energy innovation strategies, and global comparisons of financial debt with ecological debt. She is currently an adjunct instructor of Biology and Environmental Science at Las Positas College in Livermore. Amber grew up in Queensland, Australia, but has deep roots in California (including parents who met as UC Berkeley undergraduates). She lives in Mountain View with her husband and two young children. In her not-so-abundant spare time, Amber can be found at the local farmer’s market, running on Stevens Creek Trail, serving on the MV City Council’s Environmental Sustainability Task Force, and reminding her toddler to pick only the RED strawberries. 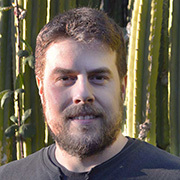 Tom Powell is a forest ecologist that uses empirical and theoretical approaches to understand how terrestrial ecosystems respond to and recover from anthropogenic and natural disturbances. He is currently a postdoctoral fellow working on the NGEE-Tropics project at LBNL. 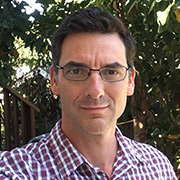 He uses process-based models to understand how climate change will alter demographic rates, community composition and ecosystem function of tropical and western conifer forests. He also enjoys spending as much time as possible in the field making tree physiological and biometric measurements to parameterize and validate his process-based forest models. Prior to joining the lab, Tom received a PhD from Harvard University. His thesis was about the effects of severe drought on the Amazon rainforest. He received a MS in forestry from the University of Florida and a BS in natural resources from the University of the South. Tom also worked as a research scientist with the Smithsonian Environmental Research Center investigating the effects of elevated CO2 and fire on Florida scrub-oak ecosystems. While at the Smithsonian, Tom and his colleagues spent many lunch hours discussing environmental literature, many of which are covered in the Environmental Classics course. He started his career working as a forester in Nepal securing non-timber forest products and water resources for Himalayan village communities. 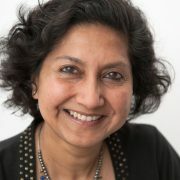 Isha Ray joined the faculty of the Energy and Resources Group in 2002. She has a BA in Philosophy, Politics and Economics from Somerville College, Oxford University, and a PhD in Applied Economics from the Food Research Institute at Stanford University. 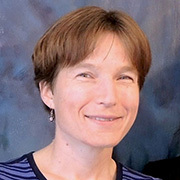 She is the Co-Director of the Berkeley Water Center and a Faculty member of the Institute for South Asia Studies. Professor Ray’s research interests are water, sanitation and development; water and gender; technology and development; and common property resources. Her research projects focus on access to water and sanitation for the rural and urban poor, and on the role of technology in improving livelihoods. She teaches courses on research methods in the social sciences, water and development, technology and development, and community-driven development. In addition to research and teaching, she has extensive past and ongoing experience in the non-profit sector on sustainable development, water, and gender equality. Read more on her ERG Core Faculty page.